On July 28, 2013, the incarcerated human rights activist, journalist Abolfazl Abedini, a witness in the torture death case of blogger Sattar Beheshti (blogger who died under torture while in custody), was unexpectedly, and without prior notice, transferred from Evin prison to Karoon prison in Ahvaz. In a letter to the District Attorney, Abedini has announced the launch of his hunger strike. 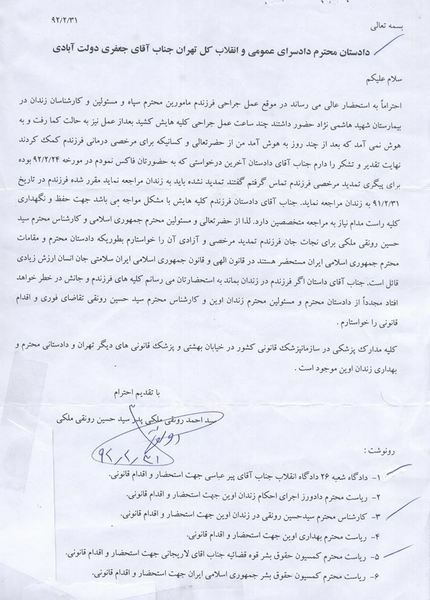 I, Abolfazl Abedini Nasr, son of Sohrab, hereby announce that my transfer order from Evin to Ahvaz, dated July 28, 2013, (of which I was informed at Evin Ward 350) is illegal and against my will and wishes..
Also, I consider this order to be an illegal and unethical means to exert cruel pressure on myself and my family, and consider it to be continued torture which has been mandated for the remainder of my sentence. Thus, in protest against this illegal and cruel action, from this date, my departure from Evin prison, I will launch an open-ended hunger. Obviously, any adverse consequences resulting from my hunger strike, and in general, the responsibility for whatever happens to me, lies with the Judicial officials and whomever else is responsible for issuing this illegal order. The father of imprisoned political prisoner, Hossein Ronaghi Maleki, has written a letter to Tehran’s District Attorney, explaining in detail his son’s situation . 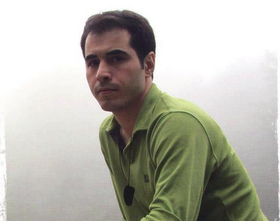 According to reports on the Kaleme website, Hossein Ronaghi has recently encountered gastrointestinal bleeding due to the lack of proper nutrition and lack of access to his treating physicians, and is therefore unable to take needed medication for his prostate and kidney diseases. According to previously published reports, despite Hossein’s suffering from kidney malfunction and prostate and bladder inflammation, he was ordered back to prison by the District Attorney prior to the recent presidential election. 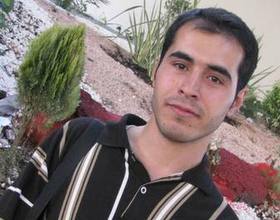 Hossein Ronaghi Maleki was among those arrested after the 2009 disputed presidential election. He was arrested by IRGC Intelligence and tried at Branch 15 of the Revolutionary Court presided by Judge Pirabbasi, and was sentenced to 15 years imprisonment. Last August, while Ronaghi was on his first medical furlough, he, his brother and his father (Hassan and Ahmad Ronaghi), along with 33 other earthquake aid workers were arrested in the Sarand earthquake relief camp in the earthquake-stricken area of Azarbaijan. Hereby, I respectfully inform you that during my son’s surgery, the honorable IRGC agents and the prison officials were present. His surgery lasted some hours. Post-operation he went into a coma and did not come out of the coma for several days. I extend my sincere gratitude to your excellency and all those who helped secure my son’s previous medical furlough. Dear Sir, the last furlough request I faxed to you was on May 14, 2013. After I contacted the District Attorney’s office, I was informed my son’s furlough extension request had been denied and that he must return to prison. My son was ordered to report back to prison on May 21, 2013. Dear Sir, my son suffers from kidney malfunction. In order to save his right kidney he must be under the constant care of a specialist. Therefore, I request of your excellency, the officials of the Islamic Republic and the official in charge of Hossein Ronaghi Maleki’s case, that the request be granted for a medical furlough in order to save his life. As the honorable District Attorney and the officials of the Islamic Republic are well aware, the Divine law and the laws of the Islamic Republic of Iran attach great value to the health of human life. Dear Mr. District Attorney, I hereby inform you that if my son remains in prison his life will be at risk and he is in danger of losing his kidney. Again, I urgently request that the honorable District Attorney, the prison officials and the official in charge of Hossein Ronaghi’s case immediately take legal action. All of the medical records are at the country’s medical examiner’s office located on Beheshti street, at other medical examiner’s offices, the district attorney’s office and at Evin prison. Sayd Ahmad Ronaghi Maleki, father of imprisoned blogger and human rights activist, Hossein Ronaghi Maleki, has written to the Supreme Leader, Ayatollah Khamenei requesting he facilitate an urgently needed medical furlough for his son. I, Sayed Amad Ronaghi Maleki, request the attention of the Supreme Leader, the Chief Judiciary, Commander in Chief of IRGC, all the Judiciary officials, Tehran District Attorney, the official in charge of Hossein Ronaghi Maleki’s case, and all those in power at the Islamic Republic that, if prompt attention is not paid to the case of my son, his life will be at risk. In addition, he is under pressure and harassment in prison. Therefore, in the future, those who breached the law of God and the Islamic Republic of Iran will be held accountable. I hope in respect of this sacred month of Ramedan my son is granted a medical furlough as soon as possible. In conclusion, I thank all those who have tried to help save my son’s life. On Saturday afternoon, Abolfazl Abedini, imprisoned human rights activist and a witness in the torture death case of blogger Sattar Beheshti (blogger who was killed under torture while in custody), was unexpectedly, and without prior notice, transferred from Evin prison to Karoon prison in Ahvaz. Abolfazl Abedini had testified before Shahriyari, the magistrate investigating the torture death case of Sattar Beheshti, that he had witnessed signs of torture on Behesht’s body while Beheshti was in Ward 350 . Abedini, protesting his sudden transfer from Evin to Karoon prison, announced he will launch an open-ended hunger strike and will remain on one until he is transferred back to Evin. Previously Abedini, while giving a statement to the magistrate, had voiced concern about his testimony causing troubles for him, but was assured by the magistrate that it would not. At that same time, head of Evin Court attempted to transfer Abedini to Ahvaz Karoon prison but failed. But now, the new head of Evin Court, Tourk, has carried out the transfer. Tourk was the Ahvaz trial judge that tried and sentenced Abedini to 11 years imprisonment because of human rights activism. Abedini was transferred to Karoon prison last fall after testifying in Beheshti’s case, but was returned to Evin shortly after on the order of Tehran’s District Attorney. 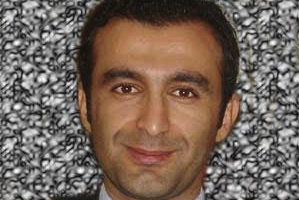 Abolfazl Abedini, a human rights and labor rights activist, was tried in April 2010 in the Revolutionary Court of Ahvaz and sentenced to 11 years imprisonment on charges of association with hostile governments, human rights activism and propaganda against the establishment through giving interviews to foreign press. He was again tried in Branch 28 of the Revolutionary Court, presided by Judge Moghayeseh, and sentenced to an additional one year imprisonment on charges of propaganda against the establishment, even though this charge was already included in his previous trial and he was already imprisoned at that time of the new trial. Despite suffering from a heart condition, Abedini has been serving time in Ward 6 of Karoon prison in Ahvaz and in Evin Ward 350 without being granted furlough. Outspoken documentary film maker, writer and former political prisoner, Mohamad Nourizad, has posted on his Facebook that he has been summoned by Court. On July 15, Mohamad Nourizad went to visit a 4 year old Baha’i boy who’s parents are imprisoned because of their faith. Yesterday, Nourizad also reported on his site that his wife’s passport, laptop and other personal items were confiscated at the airport by authorities without a warrant. “This morning I received a summons. The charge stated on the summons was “insulting the Book of God”. They have given me three days to report to Tehran’s District Court number 23. I’ve been summoned to court many times over these Green years, and each time I go with my bag packed. This time I will pack my bag also. Not because I don’t want to be sent to prison unprepared, but because this packing of my bag, in itself, is a form of diving in the sky whose very oxygen is laden with the “Future”. There are a lot of things in my bag. From pen and paper to clothing. If they take all of these away from me, my “Smile” is still with me. And it has been some years that I, with a smile, have welcomed any danger and hardship with open arms. More than 150 Evin prison guards, reinforced with guards from Ghezelhesar prison, raided Ward 350 at Evin prison, engaging in inspection of prisoners’ personal effects and even the destruction of the facilities, such as removing the air conditioners, the air ducts and electrical cables. They then went to the prayer room and threw Qurans on the floor and even scattered pages from some of the Qurans on the floor. According to reports by the Kaleme website, on Thursday, more than 150 Evin prison guards, reinforced by guardsfrom Ghezelhesar prison, supervised by Colonel Aminian, (the commander of the special unit of Evin prison, and the commander of Tehran’s prison guard), along with several of the Intelligence Ministry’s operation forces, raided Ward 350 in the early morning hours while the prisoners were asleep. After performing body searches of the prisoners, they threw them out of the Ward on the pretence of performing an inspection of the Ward. They then engaged in vandalism and destruction of the prisoner’s personal effects. They also stole prisoner’s valuables and even went so far as destruction of the facility by opening the air conditioning units, removing the air ducts and electrical cables. In this unusual and unprecedented raid, even the prayer room was not immune from their attack. They desecrated the Quran by throwing it in the middle of the floor, and even scattered some of the pages on the floor as well. According to this report, all of this destruction was shown to the prison authorities after the unusual raid. Now it remains to be seen how the country’s officials (that raise their voice in high protest and cry Disrespect Of Islam every time the Quran is desecrated in other countries), will react to this blatant desecration of Quran in Evin prison. 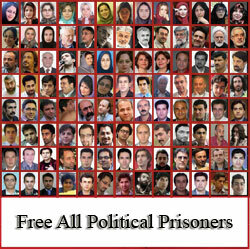 The political prisoners, in protest of this inspection and raid, sang nationalistic anthems and chanted slogans such as “Ya Hossein, Mir Hossein”, and “Long Live Karoubi, Long Live Mousavi”. The recent unrest at Ward 350 started when political prisoner Dr. Ali Nazeri, who was in poor health, was moved out of the prison on a stretcher and transferred to Zabol prison. Following this action, the prisoners protested, and wrote a statement of protest. This resulted in 6 of the prisoners being moved to solitary confinement. Mohsen Rahmani, an IT student who had raised a poster of the detained Green leader, Mir Hossein Mousavi, at a presidential campaign rally for Hassan Rouhani, is under severe physical and psychological pressure at Evin Ward 209. This civil rights and Green Movement activist was arrested along with a number of other Rouhani presidential campaign activists after a campaign rally 48 days ago. 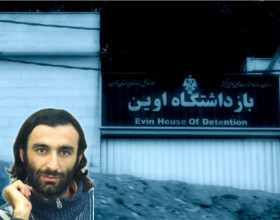 While all the other activists arrested that night have since been released, Mohsen Rahmani is still incarcerated in cell number 92 of Evin Ward 209, under harsh interrogations and repeated severe beatings by the interrogators. According to reports received by the Kaleme website, signs of assault and battery on Rahmani’s body are so apparent that, despite bail having been set by the court, the officials at Ward 209 prevent his release. On Wednesday July 17, Ward 350 political prisoners Siyamak Ghaderi, Amir Khosro Dalirsani, Houtan Doulati, Nader Babaei, Mohamad Ebrahimi and Saeed Matinpour were moved to solitary confinement in Ward 240 of Evin prison. This action by Evin prison authorities was taken following the protests that took place in Ward 350 over the unexpected transfer of Dr. Ali Nazari to Zabol prison. The poor state of Dr. Nazari’s health condition while he unexpectedly was transferred on a stretcher out of Evin prison angered the political prisoners. They protested by singing anthems and chanting slogans such as, “Death to the dictator” and “Ya Hossein, Mir Hossein”. The transfer of these prisoners to solitary confinement in a manner that was deceptive, and after being summoned to Evin Court, was on the direct order of Tehran’s district attorney. Moving these six prisoners to solitary confinement took place while 44 political prisoners in response to the illegal transfer of Dr. Nazeri in a statement wrote: “We wish the authorities that, by their acts are themselves responsible for our country’s current plight, who must have seen the people’s reactions to their actions, both before and after the election, would, rather than continuing the past approach and continue to hold spite against the people, would heed the people’s demands and opinions, and compensate for their past actions.